"In titling this work The Second Coming of Christ, I am not referring to a literal return of Jesus to the Earth.... A thousand Christs sent to earth would not redeem its people unless they themselves became Christlike by purifying and expanding their individual consciousness to receive therein the second coming of the Christ Consciousness, as was manifested in Jesus.... Contact with this Consciousness, experienced in the ever new joy of meditation, will be the real second coming of Christ — and it will take place right in the devotee's own consciousness." 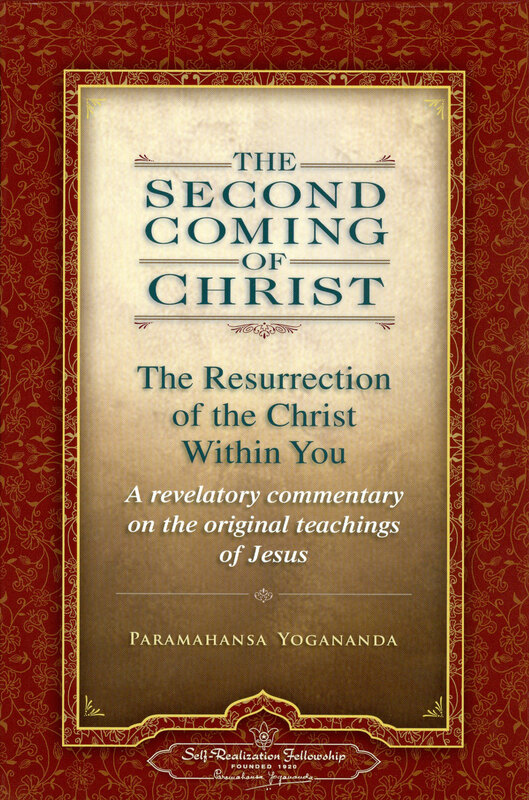 In this unprecedented masterwork of inspiration, Paramahansa Yogananda takes the reader verse by verse through the four Gospels, illumining the universal path to oneness with God taught by Jesus to his immediate disciples: "how to become like Christ, how to resurrect the Eternal Christ within one's self." Now available in paperback, this landmark work by one of the most revered spiritual teachers of our time transcends divisive sectarianism to reveal a unifying harmony underlying all true religions.